These are just a few of the overheard sayings in passing these days. If we had to choose one commodity that has somehow become a trend overhaul in the produce business, we would have to say it’s avocados. In truth, they get a great rap for a good reason, so we can’t complain. If it takes overpriced, swanky Avocado toast – with all the works – to get the people to eat their good fats – we’re on board. Let’s take a hard look into the world of avocados and what ‘good fat’ means. Magnesium, potassium, vitamins K, C, E, B-6, niacin, riboflavin, folate, and omega-3 fatty acids all make up just some of this nutrient-packed fruit, yes – fruit! 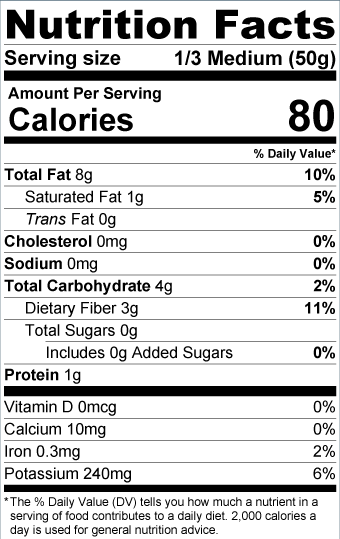 These omega-3 fatty acids are where the good fat lies in the avocado. This fat helps put your body into a gear mode for a suppressed appetite. Not only is there a decrease in cravings for more food, (yes, please) but also consuming this kind of fat helps slow down carbohydrates breaking down in the body, (again, yes please!). They say when you consume good fats you will notice direct results from the inside out – from the skin to boosts in your immune system. Although avocados may have hit the scene rapidly in recent years, archaeologists actually found the seeds of avocados buried with mummies that they believe go back to 750 B.C. They believe that it was around 500 B.C. that avocados were grown in surrounding areas in Mexico. It is said that avocados were around way back in 7,000 B.C., but were never domesticated until researchers realized the cultivation of the fruit from the burial sites. The first time English speakers heard of the avocado was in 1696 by Sir Henry Sloane. Although the original hub for avocados seems to be south-central Mexico, around the 1900s the US started to see growers utilizing the avocado trees from there. As time went on, the growth and cultivation of the avocado branched out into numerous varieties, with growers seeing room for new improvements each year. Fast forward to the 1950s, and California was breeding 25 varieties of commercialized avocados, and business started booming. ‘Fuerte’ was known as the main variety of the fruit for decades until the 1970s, when ‘Hass’ took over as the main variety. Amidst much speculation, it is said that no one truly knows what variety of seed it was that produced the first Hass Mother Tree. The tale of Robert Hass, how he purchased a seed and planted it, says that the Hass avocado may never have truly come to life as Hass planned to take the tree down at one point. He was thankfully talked out of it by his children due to good taste. Hass Avocados was hence born and completely overtook the once popular ‘Fuerte.’ The wildly popular Hass avocados account for 80 percent of avocados consumed across the world. There we have it. At the end of the day, the legendary fruit has always lived up to the hype. People only seem to have two issues when it comes to avocados: the price, and how to tell if an avocado is ripe. While we may not be able to help you with the price at the given moment, we can give you some tips on picking out avocados at your local grocery or farmers market. First, examine the outside – try and choose the darkest ones if you are looking for ripeness. Once you’ve found the color you want on the ripening timeline, hold the avocado and gently squeeze, but do not apply pressure with fingers! If the avocado gives a little to a lot, you’ll get an idea of the current state – the more give you get when holding it, the more likely it is to be ripe soon. No matter how many times we are told how to pick out avocados, it seems like an endless guessing game. So let’s go a little further. 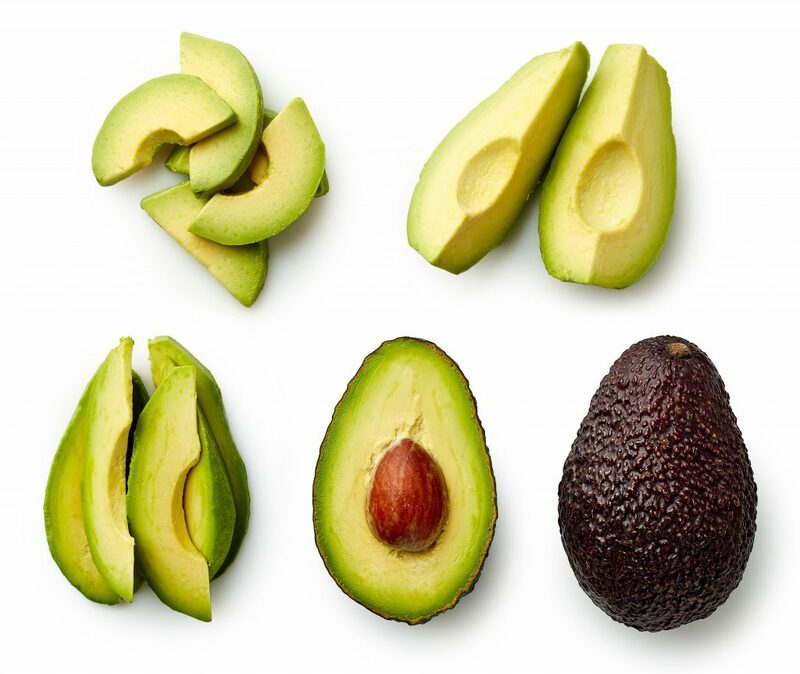 If the avocado is very firm and doesn’t give, you are likely 4-5 days from it being ready to cut open and consume. Next comes what’s called the “breaking” stage, where the avocado has a soft touch but doesn’t necessarily give in, and this usually means they are about 1-2 days out. To find a perfectly ripe avocado to eat the same day, you want to feel it giving into medium-firm pressure without feeling mushy. If you do so and find it gives too much – you’ll know – this is a sign of mush and that the avocado is overripe. We get it; there’s a lot to remember when it comes to picking out these green gems. But I think we can all agree here that the effort that goes into picking out the perfect avocado is so worth it!